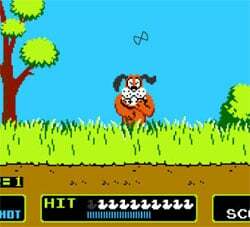 That annoying dog from Duck Hunt. One of my earliest memories has to do with getting into gaming itself. When my grandmother – who is still alive today in her 80s – used to live in Long Island, New York, my family would constantly trek there and I would stay with her sometimes over the holidays. One particular time over the holiday break, my cousin, aunt and uncle all came over to stay as well. They brought with them their NES system. I’d never played one before, and after seeing the commercials and the talk from my friends at school, I was eager to try it out. I begged them to let me have a try and after running through the ground rules on how to properly treat the device, they let me play. They had the old Nintendo Zapper accessory, and I just went absolutely mad over Duck Hunt. I even remember Grandma Phyllis joining in and having fun as well. And then later the Super Mario Bros. Games, and especially Super Mario Bros. 3 were absolute amazement to my young eyes. Video games were the coolest thing ever. And hey, they still are. Happy holidays to all. And keep on gaming the free world.